Zach Bell, Jeremy Martin, Jesse Wentland and Vann Martin have now all officially jumped from amateur to pro. Here's our take on their first foray, and be sure to let us know yours in the comment section below. While the graduating class of 2012 is not as deep as years past, it does have star power at the top—namely GEICO Honda’s Zach Bell and Star-Valli Rockstar Yamaha’s Jeremy Martin. Bell has already shown an amazing amount of potential, and speed. But he also showed what hindered him throughout much of his amateur career, an inability to stay healthy. It’s an injustice that we didn’t get to see more of Bell these last two rounds, because I think he would have been a top five threat once he learned to harness his unbridled speed. Let us not be so quick to judge a rider on two races, though. Although this latest injury will likely sideline Bell for 8-12 weeks, GEICO Honda team manager Mike LaRocco will ingrain in Bell the nuances of controlling his speed. 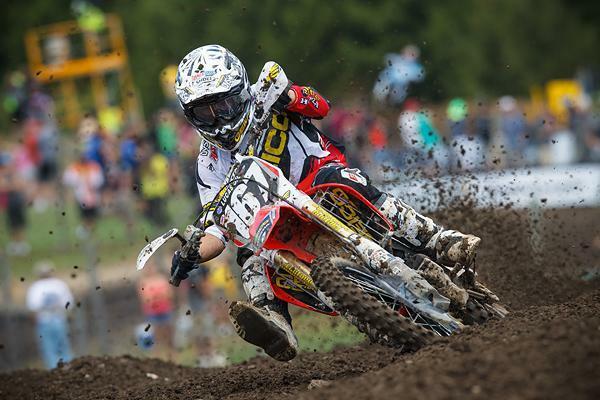 LaRocco was able tame the wild child Justin Barcia, and I expect him to do the same with Bell. If the 2012 Horizon Award winner is able to absorb the wear and tear of a full season, look for big things from him in 2013. It’s difficult to judge Martin based on one race, particularly since he was still nursing a shoulder injury suffered just weeks before Loretta’s. Martin was only on the bike five days before Unadilla—which proved to be one of the most physically demanding tracks of the year—yet was still able to run inside the top ten before fatigue set in, as he explained to me earlier this week. “My shoulder was a little sore, but the biggest thing was I just got tired from not riding for three weeks and then going out there and racing with some of the fastest guys in the world.” We will learn a lot more about Martin in the coming weeks after he’s had a chance to regain his fitness, but if you were able to witness Martin shred the field in his final year in the amateur ranks then you know what could be in store for 2013. The jury is still out on Texas native Vann Martin. 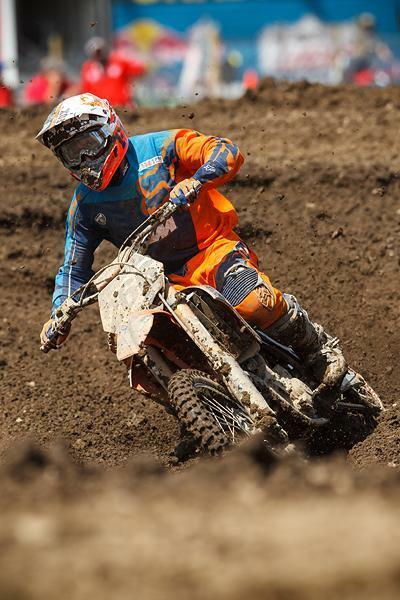 The 2011 Loretta Lynn College B/C (17-24) Champion made his pro debut at Freestone, returned to the amateur ranks for Loretta’s, had a great showing (4th in 450 A, 5th in 250 A), and then returned to the Lucas Oil Pro Motocross Championship for Southwick and Unadilla. While Martin has only been able to crack the top 20 twice in six motos, he’s shown a lot of grit and determination in bouncing back from a number of crashes during his short stint in the pro ranks. These next two races will be crucial for Martin to show teams he’s a top 15 threat, something that will go a long way in contract talks for next season. Minnesota native Jesse Wentland has the cards stacked a little higher. 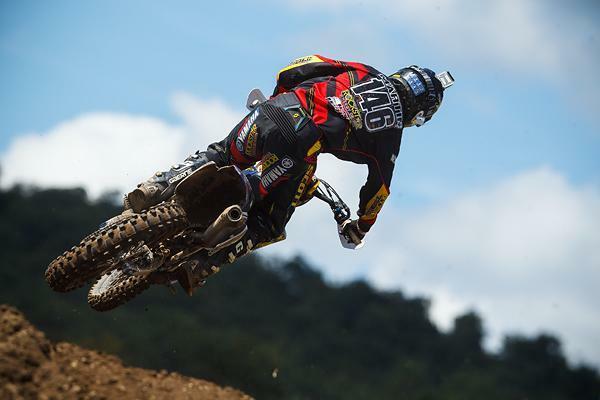 The 2012 Loretta Lynn Open Pro Sport Champion has jumped straight to the 450 Class and after failing to qualify at Southwick was able to bounce back with a solid day at Unadilla (19-19 for 20th overall). If Wentland decides to skip the Lites Class in 2013, no announcement has been made yet, it could be tough sledding for the young gun as he will be lining up against the likes of Reed, Dungey, Stewart, Villopoto, Canard, Barcia, Alessi, Wilson, Weimer, Millsaps, Grant, Short…the list goes on, in the 450 Class next season. In talking about the rookies, I think that I’m a bit underwhelmed by their rides and that’s just because of the incredibly high standards that they have to meet. We’ve seen riders like Trey Canard, Justin Barcia, Josh Grant, Josh Hill and Eli Tomac all make immediate impacts as rookies within just a few races. Never mind the superstar amateur racers like James Stewart, Mike Alessi and Ryan Villopoto all who came into the pros and ran up front. Jeremy Martin’s battling a shoulder injury and to be honest in reading his interviews, I’m not so sure I would’ve come out and raced. After all, like the Head and Shoulders commercials, you just have one chance to make an impression. And Martin didn’t really do that at Unadilla. How much was his shoulder and how much was his talent? We don’t know. All I know is with a guaranteed ride in my pocket and a week off after Unadilla, I’m staying home and making sure I can come out and kill it. Who knows though, maybe years from now, we’ll be laughing at the multi-time champs struggles at his first race but as of right now, I’m ambivalent. And with Zach Bell, I’m kind of in the same boat. I don’t follow amateur racing all that much so forgive me with the lack of knowledge but this kid won the Horizon Award at Loretta Lynn’s so I’m thinking he’s pretty good—he's on the level of the other riders who have done that. And yes he holeshot his first pro moto and led for a while but then crashed out for the day. 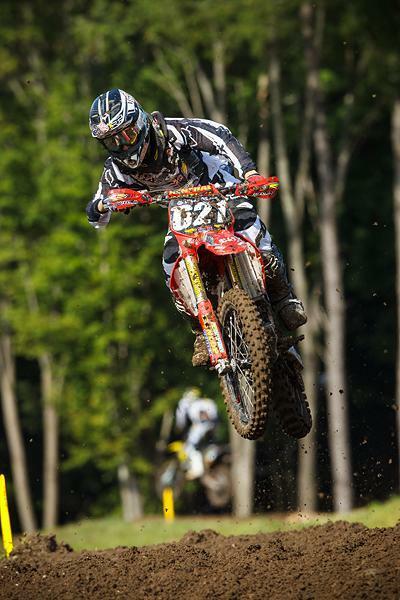 At Unadilla it was more leading and crashing. Eventually, he finally called no mas and crashed out of his third moto out of four (counting the second moto at Southwick when he didn’t start because of, yep, a crash). I won’t even bring up Barcia, Canard or Grant’s rides to his because he doesn’t match up to those guys. What about 2011 when Justin Bogle came out to the same race, on the same bike with the same team? Bogle ran third both motos before settling in for a solid 6-6 day. That’s what a kid needs to do, not show incredible speed and then crash out while looking a little tired. On that team, on that bike and with his amateur awards, I expected more out of Bell. Vann Martin isn’t on the same “hype” level as the other guys but he’s toiling there just around the twentieth spot. It’s a start and just staying consistent is tough enough in the 250 Class. What his ceiling is, I’m not sure but you have to start somewhere and Martin is on a privateer level trying his best. Many a career has been started in twentieth. Tim Ferry and Jimmy Button came out of Loretta Lynn’s as the top dogs at the ranch and both guys finished 20th overall at their first National. So there’s that. Anytime you’re compared to Tim Ferry in any way is, in my opinion, pretty good. How about Lucas Oil Troy Lee Honda’s Jessy Nelson? He skipped his final amateur run to go pro at Hangtown, and right now the complete rookie is sitting in the top ten in the points after ten rounds. Not enough has been written about this kid! A seventh overall at his second National ever in Texas as well as another top ten overall in his fourth National ever was the start and he’s built on it from there. For my money, give me Nelson as the easy winner for ROY. As an amateur, Zach Bell garnered the rep as fast but injury-prone, but he explained to me at Loretta's that the injuries had taught him patience. Well, it didn't look that way at the first two races of his pro career. Zach grabbed holeshots and led laps. We've seen other rookies do that, but it is still darned impressive. The problem was, he was clearly riding way too hard. Last year when Bogle jumped in, he ran up front before getting tired, but until then, it looked like he was just riding at his natural pace—not over it. If Bell had dialed it back just a bit, I think he could have gone top five in these motos, but instead, it looked like he was trying to pull away and win the moto. It cost him. He'll have to reign that in, because just a few more of these big hits and he's going to have a tough time coming back. But these races weren't a complete bust. Bell might be in a back brace for awhile, but he'll know he had the speed to lead, and that's a huge help. He has the confidence and the belief now, which is super duper important in this spot. On the flip side is Jeremy Martin, who now leaves his first pro race without that feeling. Bell can say, "I can run with these guys" while Martin can only say, "I hope I can." That said, I think Martin's tenacity is well-suited for that role, as he was often just a notch below next-big-thing status in the Ams, and was eventually able to find that next level. Bell's program seems built around speed, Martin's around staying power, so J-Mart isn't going to be down in the dumps from one race. But it would have been nice to start a little stronger, right? Maybe he should have waited an extra race for that shoulder. It's also worth mentioning that the GEICO Honda team has now groomed a ton of these kids with great success, while Star Yamaha hasn't had much success with their young guys (Darryn Durham and Wil Hahn can attest). Can they mentor like GEICO can? Vann Martin's deal is totally different. As an amateur a lot of people thought he got unfair help because his dad runs Honda of Houston, which is a big part of Honda's amateur effort. But Vann earned the results all by himself, he won a Loretta's B title last year and was right in the hunt for an A class crown this year. And no one will say he has an unfair advantage as a pro, because he's a privateer. At Southwick, his flights got all jacked up, setting his whole weekend back, then his vent line came loose and splashed gas all over him during the first moto. He's been able to scratch into the top 20, but he doesn't have anyone around who has been to these tracks and experienced the pro deal. He'll have to learn on his own, and we've seen grinders like that eventually do great things. But it will take some time. Wentland didn't qualify for Southwick, which reinforces how difficult this pro deal is (and how impressive it is for Bell to lead a race). He bounced back a bit at 'Dilla, but the hardest part for all of these riders will be maintaining the belief. These are riders who are used to winning, and it may now be awhile before they're at that level again. Whoever has the mental toughness to keep working through that will end up best.